The candidates need to go to the college website and register themselves. After registration, the candidates can apply for the courses. 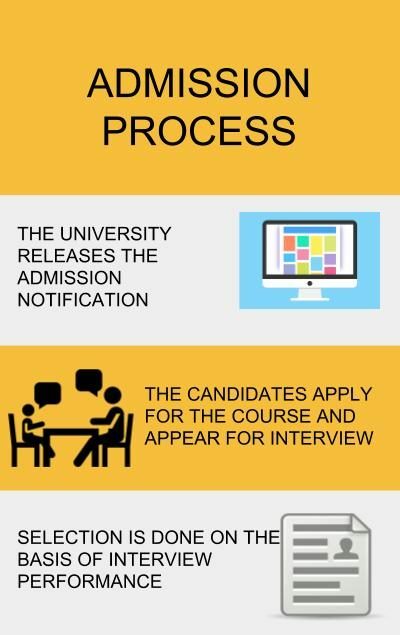 Once the candidates have applied for the courses the college will inform them regarding the date of the interview and further selection process. 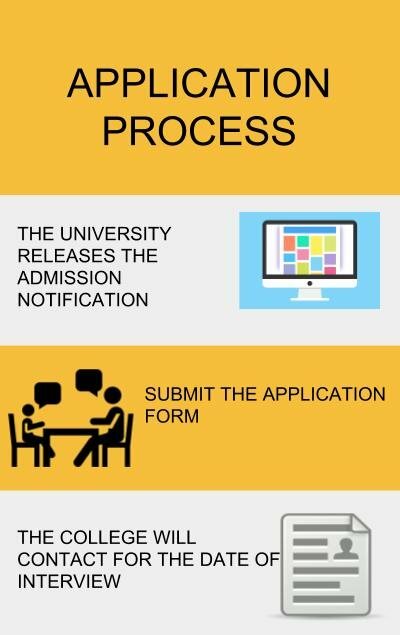 The college releases the admission notification in the college website and the online application process starts. Once the candidates have applied for the courses the college contacts them regarding the date of the interview via Emails. After the interview is done and based on the performance the selection of the candidates is done. The applicant must have cleared any of the MBA Entrance Tests: CAT 2018 , XAT, MAT, CMAT, ATMA, GMAT & State CET tests where applicable, and as per AICTE guidelines. To get admission here student must have to clear GD and PI which is conducted by the college and also have to pass MAT entrance exam. What is the admission procedure for M.B.A in ITM Business School, Mumbai? Eligibility: Graduate or 15 years of education from any stream with minimum 2 years of work experience. The candidate will first meet the Counselor who will give a brief of the program. Later, an interview will be scheduled with the Center Head. If satisfied the Center Head issues an Offer Letter. Candidates must purchase an application form, at a cost of Rs. 500/- payable in cash along with the following documents. What is the Admission Process of ITM Business School, Mumbai for PGDMM Course? Minimum eligibility for application to the ITM PGDM programs is a Bachelors Degree from any AIU recognized University with minimum 50% marks aggregate.